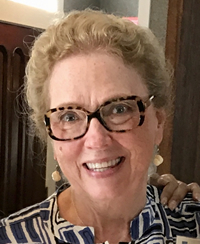 Anna Wolfe is president-founder of The Mandala Center, where she is actively involved in planning, programming, and contributing to the lives of those who come to TMC for retreat and renewal. The land and original building site of TMC belonged to Tish Hewitt, Anna’s mother. After her death in 1992, Anna completed construction with the vision of offering a non-denominational spiritual retreat and healing center in Des Moines, New Mexico—hence The Mandala Center was born. Five years later Anna and her family moved to the ranch where the center is located. Originally from Illinois, Anna earned a BA in Psychology from Yale University, a certificate in Theology from Georgetown University, and completed a four-year mentored program on Education for Ministry, sponsored by the University of the South at Sewanee, an Episcopal Seminary. She is also a certified Stephen Minister, a program that prepares lay people for ongoing visits with people who need a friendly ear. Anna has been married to Joseph Wolfe for thirty-three years. They have three children and one grandchild. In her spare time, Anna runs 5k, 5-mile, and 10k races and rides Arabian horses (descendants of her mother’s horses), which she competes in 50- and 100-mile endurance races throughout the US. She holds a National Championship in the Lightweight 100-mile division. Ann Marie Nordby has been involved with The Mandala Center since its inception, during the initial construction of the main building with Tish Hewitt. A certified public accountant and owner of a financial services business with 25 years of experience in the family office services and trust industries. 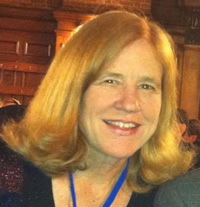 A member of the American Institute of Certified Public Accountants, the Iowa Society of CPA’s, the Quad-Cities Estate Planning Council, and the National Center for Family Philanthropy, Ann also serves as the Secretary/Treasurer of The Mandala Center and President of the congregation at St. Paul Lutheran Church in Davenport, Iowa. An avid outdoor enthusiast, Ann also loves to cook and travel. She resides in Bettendorf, Iowa with her husband of forty years, Kurt Nordby, an ordained clergyperson within the Evangelical Lutheran Church in America. They have two sons. Lani Kyea is an artist, rancher and teacher who was born in Hawaii and grew up in 49 states, Japan, Mexico, and the Mariana Islands. She holds a BS in Art and Agriculture and an MS in Art and Education. Her diverse work history includes certified Pecos Wilderness guide and head wrangler at Mountain View Ranch, Chaparral Racing Stable owner, FACET art gallery owner in Taos, NM, and teacher at St. Anthony Mission School in Penasco and Santa Fe College Outreach for the Picuris Pueblo. Lani and her husband live on a small ranch in Union County, raising rare breed sheep, Angora goats and Longhorn cattle. 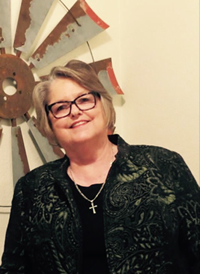 She has served on various boards including the professional GRA/Girls Rodeo Association, the Taos Spring Arts Festival, and various breed registries and associations. Lani joined the board of directors of The Mandala Center in 1998 after serving as a member of its Advisory Committee. She believes the Mandala Center provides a place for people to explore new dimensions of their inner life, and that the center facilitates an attitude of openness to inner growth in a natural environment. In her words, "The "Spirit of Place" encourages the unfolding of one's self to get in touch with that which is greater than ourselves." Midge Graham, our newest board member, is a long time friend of the Mandala Center. 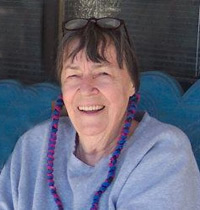 Midge moved to northeastern New Mexico with her husband, David, in 1968; both were employed by the Des Moines school district as entry-level teachers. Midge went on to earn a Bachelor of Science degree and Master of Arts Degree from NMSU. She satisfied requirements for administrative licensure at New Mexico Highlands University and completed an administrative practicum at the Public Education Department in Santa Fe. Midge retired from the District in 2003, having served students in multiple capacities, including Superintendent of Schools. After retirement, she administered federal training grants for teachers, taught college classes, and supervised student teachers. She also served Union County as its Emergency Manager. Following the sudden death of her husband in 2011, Midge moved to McKinney, Texas where she now resides. Midge's talents and expertise will be greatly appreciated as the Center continues to build outreach and learning programs. She looks forward to relationships with current staff, interactions with visitors and presenters, hands-on work, being an ambassador for the Center, and her own growth because of new relationships on the paths of her life. Midge believes board membership is a gift, more than it is a noticeable responsibility. Bill graduated from Coe College in Cedar Rapids, Iowa, and was a member of Phi Beta Kappa, and Phi Kappa Phi honorary fraternities. After graduating from Harvard Law School he entered active duty in the Air Force in the Judge Advocate Corps. Upon leaving the Air Force as a Captain he was the Administrative Assistant to Congressman Tom Railsback in Washington, D.C.
Bill left Washington to practice law in Moline. He was admitted to practice before the Illinois Supreme Court, the US Court of Appeals for the Seventh Circuit, the Federal Circuit,and the US Supreme Court. 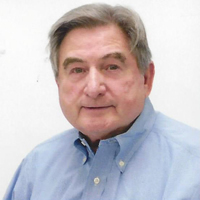 In addition to practicing law Bill was active in in many organizations including the Boy Scouts and the United Way. As a Rotarian he was President of the Moline Rotary Club. He served on the Board of Directors of the Quad City Symphony, Arrowhead Ranch, and the First Congregational Church of Moline. He was a member of the Board of Directors of Health Care Service Corporation (Blue Cross/Blue Shield of Illinois, Texas, New Mexico and Oklahoma) serving on the Governance Committee and the Executive Committee. Bill is a member of the Board of Directors of the National Rifle Association and served as the Chair of the National Rifle Association Civil Rights Defense Fund. At present he also is a Trustee of the NRA Whittington Center, a 33 thousand acre shooting facility south of Raton, and is a member of the Raton Rotary Club. Upon retirement Bill and his wife Mary Anne moved to Raton, New Mexico. They have three boys and five grandchildren. 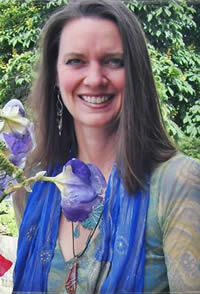 Dr. Kelley Eden is a retired Naturopathic Doctor and Certified Shamanic Minister. She began her professional life in Sports Medicine and Wellness Program Management after receiving her Master of Science from Colorado State University. During her Master’s program, she minored in Leadership Development and Group Facilitation with the intention of supporting and inspiring Corporate Leadership to better their wellness practices and retain a healthier and more vital workforce. She was especially focused on Experiential and Outdoor Education as a means to provide team building and innovative breakthroughs. She was additionally trained in personality profile tools, and Appreciative Inquiry to bring best practices forward, and to support people and organizations to find the right person for the right task, thereby serving the highest good for all. Later, Dr. Kelley chose to continue her lifelong pursuit and calling of inspiring vitality and growth by becoming a Naturopathic Doctor. Since graduating with her Doctorate in 2002, she has provided both individuals and groups with the tools and knowledge they need to take positive action, and make the best lifestyle decisions for themselves to stimulate the vital force and find balance and harmony in their Body, Mind, and Spirit. When she discovered the gem of The Mandala Center, she instantly felt called to support the vision and mission of this sacred and special retreat space and she is honored to sit on the Board of Directors. Linda brings a diverse background as a member of the board at the Mandala Center. She is a military veteran, serving ten years in the US Air Force, and also was raised in a military family. Linda holds a Bachelor of Science degree from Grantham University and was their Distinguished Graduate in 2008. Over the years, she has served as a Human Resources manager, negotiating benefit plans for employees, worked in accounting at a CPA firm, served with St Joseph County Sheriff’s Dept and the Sturgis Police Dept in Michigan. Linda will retire as a Government Site Security Officer with the Dept of Defense, in May 2017. Linda is a Certified Counselor with Dave Ramsey’s Lampo Group, and offers financial counseling and debt management to both individuals and businesses. She established a financial management program at Ft. Bliss for every incoming soldier to attend. She works closely with Habitat for Humanity, and counsels individuals who are receiving a home, as well as continuing their financial planning. Linda also owns Justus Photography, LLC, and has been a photographer for the past 23 years. She and husband Jim, a Vietnam veteran and US Air Force retiree, live in Alamogordo, NM, and they have a daughter, a son in law (who might as well be their son) and three grandchildren. Linda enjoys spending time now riding trails on her two horses after 23 years of competitive long distance riding. She looks forward to serving on the Board of Directors. After a “short” hiatus of about eighteen years, I am delighted to return to the Mandala Center Board of Directors. I am looking forward to my renewed association, plus the opportunity for spiritual renewal as well. The same energy which first attracted me to TMC has grown over the years through visits and program participation. I feel an impulse of energy vibrating from the land upon which the Center rests. The vibrations emanate from the land’s geology, pre-history, and contemporary history all of which have consumed my imagination and wonder over these past years. It is good to be back where I feel a sacred sense of place. What I bring to TMC is a working life of experience in commercial aviation and the United States Government. I worked for thirty-two years for Continental/United Airlines; for a short time as an airport aviation security consult; and for thirteen years with the Federal Government. Although my academic background is in anthropology with an emphasis on physical anthropology, I have always thought it ironic I found myself as a manager studying the human species in the field of business, and not in the Chicago Field Museum. I have been active in community service having done volunteer work in the fields of Drug and Alcohol Recovery and Veteran’s Welfare. I served as a President of the Board of Trustees for a Denver Colorado Unity Church. The last time I checked all four my children are out of the basement and succeeding well on their own. I play golf, garden and hike. Along with great American Trails (including trails in the vicinity of the Center, such as up the side of Serra Grande), hiking the West Coast of Ireland’s Wild Atlantic Way is one of my favorites. I come back to the board with a commitment founded on the inspiring words of the late Father John Wilber. We seek to provide a fuller experience on being alive, of being human, of being part of a living cosmos, and learning individually and collectively the deep meaning of leading a conscious life. 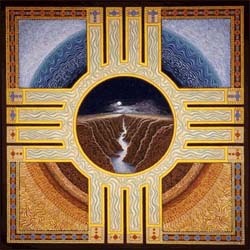 TMC, a nonprofit organization, is located on the slopes of Sierra Grande in Northeastern New Mexico. We have been in operation since 1997. Visitors come from all over the country to re-energize and renew. They leave better prepared to face life's challenges and share their insights and new wisdom with family and community. This “ripple effect” extends out into the world touching many lives. The Mandala Center seeks board members who are willing to share their skills to help others.